Winners of Classic Rock Magazine’s 2010 Classic Rock Roll of Honour Awards will be announced this November, and The Runaways has been nominated! Kristen Stewart’s film The Runaways – the biopic of Joan Jett’s 1970s band – will be pitted against The Doors: When You’re Strange, Oil City Confidential, Saxon: Heavy Metal Thunder, and Rush: Beyond The Lighted Stage in the DVD/Film of the Year category. Alice Cooper will host the event at London’s Roundhouse venue on November 10. The winner of this category is chosen by the staff of Classic Rock Magazine, not by popular vote, so maybe The Runaways stands a chance this time. Kristen Stewart and Dakota Fanning were both nominated for Choice Movie Actress: Drama, and The Runaways was nominated for Choice Movie: Drama in the 2010 Teen Choice Awards, but all three lost to Sandra Bullock and The Blind Side. I really can’t be mad. It’s Sandra Freaking Bullock! There are five categories that readers of Classic Rock Magazine are able to vote on: Best New Band, Album of the Year, Band of the Year, Event of the Year, and Reissue of the Year. Click here to vote. I really hope The Runaways beats the Rush movie, for obvious reasons. 😀 Although, I’m really not allowed to hate Rush, since I am married to one of their biggest fans. (#Irony) May the best film win! This entry was posted in The Runaways Movie and tagged "The Runaways" deserves to win SOMETHING, 2010 Classic Rock Roll of Honour Awards, 2010 Teen Choice Awards. Bookmark the permalink. 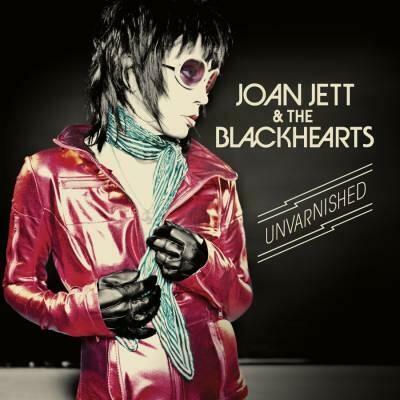 AUSTRALIAN JETTHEADS: Send me your Joan Jett stories!